AirClean Systems offers a wide range of ductless and laminar flow fume hoods designed to protect the operator, the process, or both from toxic vapors, fumes, gases, and particles. Join the AirClean Systems community to receive notifications on all their latest news and updates. Since 1968, Erlab has been an innovator in non-ducted fume hoods committed to safety, performance, energy efficiency and sustainability. Click here to join Erlab’s community. 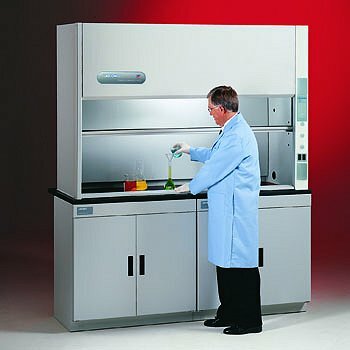 Many lab professionals have made NuAire fume hoods their choice for rust-proof performance, dependability and value. Join NuAire’s community today! When it comes to laboratory fume hoods, Labconco has the broadest selection in the market. Please click the above Labconco image to view a listing of their Basic Laboratory Hoods. And don't forget to add Labconco to your communities! Message: We have an Edgegard Laminar flowhood Model EG-6320 and we need to change the HEPA filter. I have the manual but it does not show how to remove and replace the filter. The filter is 36'x 72" x 6" and is not tiny. I was wondering if anyone has replaced one of this size before. To reply to this post or to see the answer, click here.